Hello friends and welcome to summer in Santa Barbara! Can you believe that we are nearly half way through 2018? It sure seems as though the years are going by faster and faster! While we are experiencing our typical June gloom in Santa Barbara, the Santa Ynez Valley is full of sunshine. With the Thomas fire and the mud debris behind us, this would be a good time for you to check with your insurance carrier to make sure that your home is properly insured. Do you have enough coverage? Do you know what it would cost to rebuild? Does your policy pay for for secondary housing if you have to evacuate? Does your insurance cover new code requirements and upgrades if you have to rebuild? When was the last time you spoke to your insurance carrier? Do you know what your home is worth today to properly have enough coverage? If you need an update on what your home is worth, please feel free to contact us. We are excited to announce the sale of this rare opportunity to own two separate houses on one lot with extreme privacy and beautiful landscaping. Two turnkey, single-level cottages: 1BD/1BA + 2BD/1BA. Perfect for an owner occupant and/or investor. The property has four off-street parking spaces on the Gillespie Way side, and electric and gas utilities are separately metered. Open Sunday 6/24 from 2-4pm! A tree-lined drive in the sought-after Hope School neighborhood adds to the magical setting of this 3 bedroom, 2 bath retreat. The 0.18-acre property has all the delights of California living against a backdrop of mountains and blue sky. A fully-fenced backyard flanked with persimmon and orange trees surrounds a wraparound pergola-covered veranda, offering privacy and mountain views. In front, a large driveway leads to the two-car garage, and a sun-bathed brick porch yields a scenic escape. At nearly 1,400 square feet, the charming cottage provides comfortable quarters for a variety of households; inside, the circular floor plan includes a sunny kitchen, formal dining area and central living room with fireplace. A newer roof, exterior and interior paint, and backyard rock retaining wall are among the recent upgrades. This 4 bedroom 3 bath Spanish gem rests at the top of a tree-lined private drive and boasts two mini vineyards of its own, currently producing over 25 cases of Syrah every year. A rare 3-story property, with at least one bedroom and bath on every floor, the home offers a versatile floor plan that allows for unparalleled privacy, while the nearly 0.6-acre lot’s raised position eliminates virtually all traffic noise. 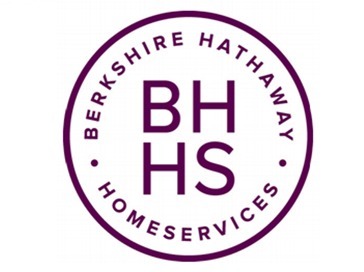 We are excited to let you know that out of over 1300 Berkshire Hathaway HomeServices offices in the United States, our Berkshire Hathaway office (Santa Barbara, Montecito and Los Olivos) ranked number two in sales volume for the third year in row. We would also like to thank you, our clients and friends, because our Randy and Kellie Team was honored with the Chairman’s Circle Platinum award for 2017, placing us in the top 1% of all Berkshire Hathaway agents nationwide – that is out of over 43,000 other Realtors in our company. We are humbled and very grateful for your continued support. As always, we welcome your calls, questions, referrals and recommendations. A tree-lined drive in the sought-after Hope School neighborhood adds to the magical setting of this 3 bedroom, 2 bath retreat. The 0.18-acre property has all the delights of California living against a backdrop of mountains and blue sky. A fully-fenced backyard flanked with persimmon and orange trees surrounds a wraparound pergola-covered veranda, offering privacy and mountain views. In front, a large driveway leads to the two-car garage, and a sun-bathed brick porch yields a scenic escape. At nearly 1,400 square feet, the charming cottage provides comfortable quarters for a variety of households; inside, the circular floor plan includes a sunny kitchen, formal dining area and central living room with fireplace. A newer roof, exterior and interior paint, and backyard rock retaining wall are among the recent upgrades. A rare opportunity to own two separate houses on one lot with extreme privacy and beautiful landscaping. Two turnkey, single-level cottages: 1BD/1BA + 2BD/1BA. Perfect for an owner occupant and/or investor. The property has four off-street parking spaces on the Gillespie Way side, and electric and gas utilities are separately metered. Privacy meets paradise at this hidden and unexpected oasis on 0.2 acres. Blessed with an inviting atmosphere, unique character & exceptional tranquility, this 4 bed, 2 bath property feels just like home. The single-level open floor plan of 1,743 sq ft is particularly inclined toward indoor-outdoor living. So much has been happening over the past few months. We have experienced and been affected by the largest wildfire in California history and endured tragedy with the mud and debris flow destroying so many homes and taking of the precious lives of family and friends. Through all this, we have grown and shared the rebuilding of our community. We are truly Montecito (and Santa Barbara) strong. Through all this, we continue to move forward. Over the past 4 weeks, real estate has seen a jump in activity. It will be interesting to see how we move ahead with the new tax laws and rising interest rates. As always, we welcome your calls, questions, referrals and recommendations. Less than two miles from Hendry’s Beach in lovely Bel Air Knolls sits this move-in ready and extensively remodeled 4 bedroom, 3 bath home on .24 acres. Over the past few months, the 2,465 sq ft house has been thoroughly renovated in the contemporary style with a number of upscale upgrades. While we would like to say, Happy New Year to all of you, we find that our hearts are full of sadness as we watched the destruction from the Thomas fire in December and then the recent massive mudslide and disaster in Montecito. As of today, there are still two people missing and many of us have lost our friends, family and a real estate colleague. The loss and damage of so many homes in Montecito will stay with us for a long time to come. However, over the past few weeks, we have also seen so much strength, bravery, commitment, friendship, caring and love for our community. We do hope that we are turning the corner and that 2018 will be a happy and healthy year for all of us. As we look ahead to the upcoming year in real estate we will keep you up-to-date as we see how our new tax laws will affect us. 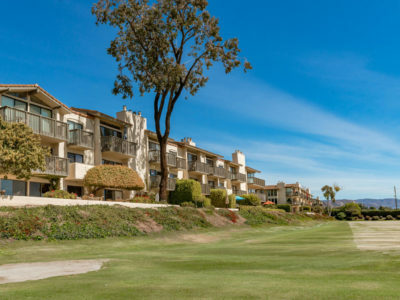 If you or someone you know needs help finding rental listings during this time, please contact us directly, you can also visit the Santa Barbara Association of Realtors website which now displays both furnished and unfurnished rentals in the wake of the disaster. If you would like more information on how you can help victims of the Thomas Fire and Flood or if you or someone you know is a victim who needs important information moving forward, you can go here. Open Sunday 1/28 from 1-4pm! Less than two miles from Hendry’s Beach in lovely Bel Air Knolls sits this move-in ready and extensively remodeled 4 bedroom, 3 bath home on .24 acres. Over the past few months, the 2,465 sq ft house has been thoroughly renovated in the contemporary style with a number of upscale upgrades. Offered At: $1,479,000. Price Reduction! Meticulously maintained and remodeled to perfection in 2008, this private and majestic countryside estate of approximately 5,300 square feet offers 4 bedrooms and 5 baths on nearly 8 acres ideal for a vineyard and/or horses in the prestigious Regency Hills neighborhood overlooking the rich landscape of Santa Ynez Valley wine country. Now Offered At: $2,850,000. This 4 bedroom 3 bath Spanish gem rests at the top of a tree-lined private drive and boasts two mini vineyards of its own, currently producing over 25 cases of Syrah every year. A rare 3-story property, with at least one bedroom and bath on every floor, the home offers a versatile floor plan that allows for unparalleled privacy, while the nearly 0.6-acre lot’s raised position eliminates virtually all traffic noise. Offered At: $859,000.